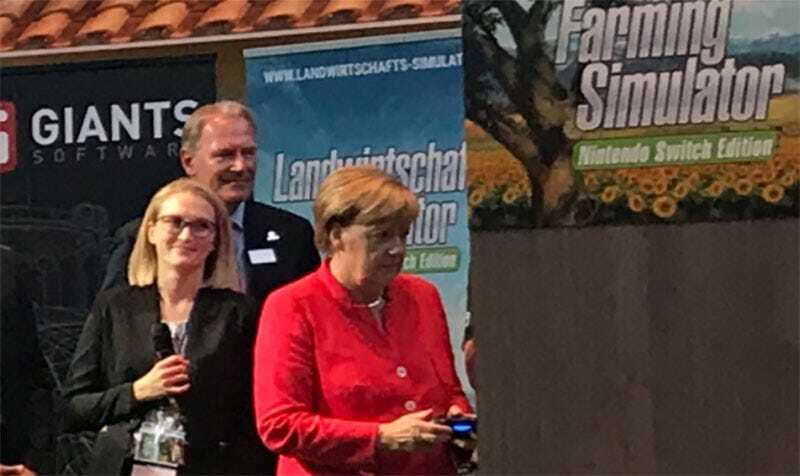 Angela Merkel, Chancellor of Germany and Leader of the Free World, was at Gamescom in Köln earlier today. And she spent some of her time in about the most Gamescom way imaginable. I am now imagining Donald Trump wandering the floor of E3, making that exact same face, only at a flickering neon sign.